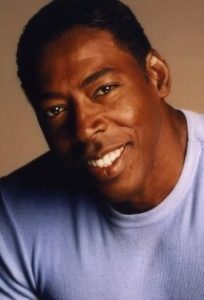 Ernie Hudson is an American actor, playwright and producer. He is best known for his roles as Winston Zeddemore in the Ghostbusters film trilogy, Sergeant Darryl Albrecht in The Crow, and Warden Leo Glynn on HBO’s Oz. Ernie’s other notable film appearances include: The Hand That Rocks the Cradle, Leviatha, Airheads, Congo, The Basketball Diaries, and 2000’s Miss Congeniality. In 2019, he played John Wayne Jet Wayne Junior in Hot Streets. Born Earnest Lee Hudson on December 17, 1945 in Benton Harbor, Michigan, USA, his mother, Maggie, died when he was two months old, and was raised by his grandmother. Following graduation from Benton Harbor High School, he enlisted in the Marine Corps, but was medically discharged less than three months later due to asthma. He graduated from Wayne State University. Ernie also attended the University of Minnesota, and trained for the stage at the Yale University School of Drama. He has been married to Linda Kingsberg since May 25, 1985. He was previously married to Jeannie Moore. He has four sons named Rahaman, Ernie Jr., Ross and Andrew. *He was born on December 17, 1945 in Benton Harbor, Michigan, USA. *He lost his mother when he was two months old. *He is a graduate of Yale School of Drama.